MacOdrum Library - Carleton's Institutional Repository: Why an open access journal in business librarianship? 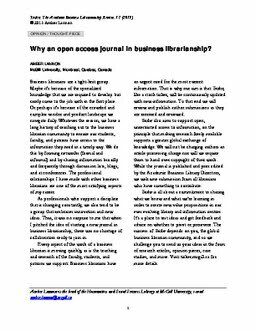 Why an open access journal in business librarianship? Lannon, A. (2015). Why an open access journal in business librarianship?. Ticker: The Academic Business Librarianship Review, 1(1).